Its lunch time…now lets talk! Ok so the moment many of you have been waiting for…A NEW SIMS 3 EXPANSION PACK!! Wait, wait, wait what is this?? Well Im going to tell you that this is very unexpected for me. I do like that it is a bit different that any past expansion pack that I have had the pleasure of owning. Now I will admit that I did not get all of the Sims 2 expansions but I got most of them. I will say that this Sims 3 expansion pack really intrigues me. I like to play the Sims as if it were real life but there are times that I add some unrealistic aspects to it. Well this is the expansion pack to change how I sim. This expansion pack adds everything from fairies to werewolves to zombies. It will take a while to get used to these new life states but I will adjust accordingly. The fairies look really cool. They have really pretty wings and can be edited and created in CAS. 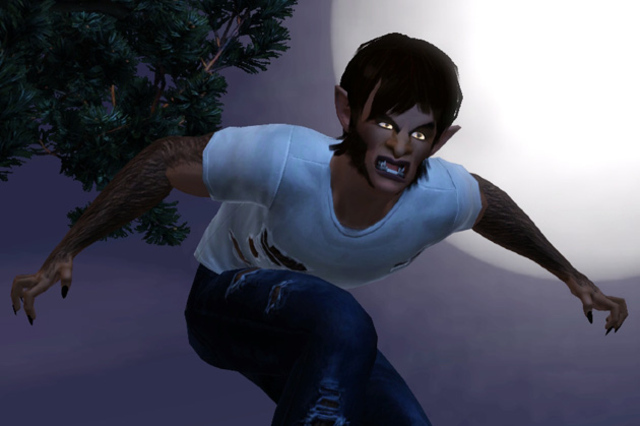 These warewolves will also be able to be created in CAS. There will be some new sliders for the warewolves in CAS as well. The zombies…hummm…can we say zombie apocalypse (or too many bath salts)??? 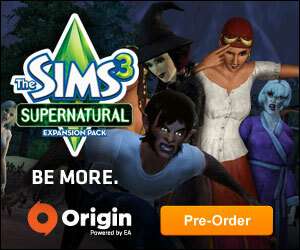 Let me know what you all think of the Sims 3 Supernatural!! My name is TJ Lovelady…I know that a unique last name but I love it! I have decided to create this blog because I really like to write in my spare time and I often have a lot to say. This blog will talk about everything from reality shows (which are my absolute fav!) to the latest technology news. I know, I know many other blogs kinda stick to a central theme but you know what, F that lol Im gonna do my own thing. This blog will start out as a free blog and hopefully I can upgrade it to a paid blog and have a little more control over everything. I guess I will tell yall a little more about myself. I am an electrician which im not necessarily sure is my true calling yet. Of course I make a nice salary but sometimes I do not fell…i dunno….fulfilled in life with my chosen career. This is why I have been working on my Bachelors degree at the University of Phoenix. The University of Phoenix has an online campus where I complete my homework assignments and you probably will see some rants and raves as I finish my degree. As of right now I only have three…yes count them….3 classes left which I am totally stoked about. When I am not in school or at work I like to play the Sims 3 for hours at a time. I probably will talk about that from time to time too as it is a large (well semi large) portion of my life. I also watch a host of reality shows that really do not add much to my life but sheer entertainment. I love these shows and will be doing update as I watch them. Other than that im just a normal kinda guy that loves to write and will use this blog as a place to let my feelings go. Ohhh wait lets talk about the site name. I kinda chose something on the fly. Im not sure that I will keep “lifescopeblog” when I upgrade to a paid site but you all let me know what you think. Also if you happen to run across my page let me know some interesting things that I can talk about on here. I am thinking about changing the name to “freelunchroomblog”. I like the concept of a free lunch room where people can come and talk about pretty much any and everything. Anywayzzz….HEY WORLD! What is your motivating force?